Would Epictetus have thought a modern educator to be educated? If I understand his teaching correctly, a sign of the educated is knowledge of the difference between what is in one’s control and what is not. It would be helpful for educators to learn this difference in their working lives so as to create more fruitful relationships with students, for more effective teaching, and for the prevention of their own psychological burnout. In short, educators need to be rational pessimists and expect more will go wrong than right. To go out on a limb a little bit, I think Epictetus would look with benign skepticism at the contemporary, good-hearted, well-intentioned teacher who expects to transform lives and be the Hollywood hero who drags the recalcitrant to a new and selfless understanding of truth, beauty, and justice. When I think of such a teacher, I am in a strange way reminded of the time I heard the Buddhist view of selfish craving described as “wanting things to be different from the way they are”, or something close to that. This sounds a lot like Stoicism. It also sounds like something educators need to take to heart. The educator will meet the selfish, the lazy, the self-seeking, and, yes, the plain old stupid among his students, among his colleagues, and in the ranks of his bosses. Believe this will change, if you want. But it won’t. My experience recently is that high school students fall into two broad groups: the narcissists (or the “children of Nero”) and the neurotics. Less and less can the teacher expect to see students who are not victims of celebrity culture, who have a realistic appraisal of their own abilities, and, most important, who have parents or guardians who love them unconditionally. The narcissists believe they are very important; the neurotics believe they are perpetually under threat. Sometimes the narcissistic child of Nero appears in preppy attire, sometimes in hip-hop attire, but is consistent in this attitude: the world must recognize his brilliance (and it is usually a “him”). The neurotic dresses in a drab and humble fashion, always feels inadequate and dodges responsibility — not wantonly, but fearfully. Any teacher who is not burnt-out (and those are becoming fewer ) has a number of possible responses to these two cases, but in general the reflexive response to the narcissist is anger and indignation; to the neurotic, exasperation. But what would be the appropriate mindful Stoic response, after the reflex? Marcus believed that people behave badly because they don’t know any better. I don’t think a modern Stoicism can accept his position, given what modern psychology knows about personality disorders. However, I still think the teacher needs to behave as if it were true. 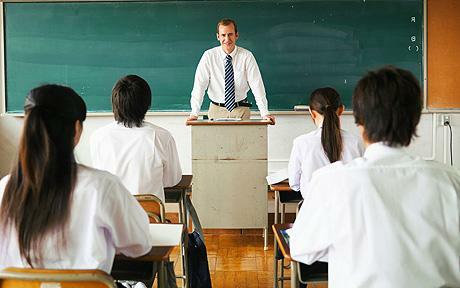 Even if the student is confrontational, abusive, and exploitative, the teacher must maintain his poise for the sake of his own dignity. After many years of classroom experience, I believe that very little will penetrate a shield of mindful, principled behaviour, at the same time admitting that I have failed to keep my equanimity many times in the past and continue to fail from time to time in the present. The narcissist knows that he does harm to others; the neurotic knows that he harms himself. The Stoic teacher knows he cannot change the thinking of either. The same teacher also knows that he can choose to demonstrate courage and resolve to the narcissist and understanding and compassion to the neurotic, and through his behavior show that an alternative is possible, while realizing that it will likely matter to no-one. The crucial point is that the teacher can choose how to behave and risk being thought an idiot. That may be the price of right living. Such are interactions with two kinds of students, individually. But what of whole groups? Marcus’s remarks about the kinds of people he expects to meet during the course of the day are typical of anyone’s experience, but the secondary school teacher meets these in the form of 30 teenagers, several times a day. They have been indoctrinated to view education as a right, and therefore they have no need for gratitude. They have been led to believe that whatever emotion they feel is should be given expression, so they have no need for self-control. They are consumed in constant e-communication with each other, so they have no need for discretion. In this context, the teacher, as a babysitter, is overpaid, but as an entertainer, underpaid. Like the late-night talk show host, the teacher must keep class moving along from one form of trivia to another form of ephemera, full of colour and sound and laughter to dull the pain of actual learning. He must ensure the powerpoints are full of razzle-dazzle and are interrupted frequently with video clips of animals doing what animals do. When the magic of rainbows and sweets wears off, he must be the babysitter: making sure nobody hurts anyone else and no crimes are committed, for the threat of liability governs current classroom management. Many of us entered the teaching profession with high ideals; many leave it bitter and cynical. It doesn’t have to be that way. We are dealing with human beings (and often, these days, damaged human beings), the easily distracted, the dedicated hashtag followers, those who have been raised by screen technology. Our job is similar raking leaves in a high wind. But what else is there to do? If the leaves scatter as we work, that is ultimately their business. Our disappointment or frustration is irrelevant. Some of us take our frustration to our superiors, our principals, headmasters, and headteachers. I don’t think there is much point in doing so. A principal has one of the most thankless jobs in education. He is suspended between the political bosses and school reality, instructed to be effective in managing the academic tone of the school and in meeting the objectives of whatever political cabal is currently in power and whatever half-baked theory of education is in fashion. Educational fads over the past generation have oscillated between traditionalism and progressivism, between streaming students by ability and allowing open access to subjects, between permissiveness and authoritarianism. What other major institution would change its mind as frequently as educational institutions do with so little evidence to support the change and so few resources to enable it? The only reasonable conclusion from this is obvious: schools are fundamentally political institutions with primarily political aims bookended by the election cycle. As such, schools will be the focus of gripes, petty jealousies, pet projects, fantastic dreams of perfect equity and social justice, demands for workplace skills, and, most of all, they will be the starting point for careerists who want to get out of the classroom as quickly as possible. (Some of us used to call this learning the ABC’s—“Anywhere But the Classroom”). And we do have quite a bit in our power. We have our education, which should give us perspectives—psychological, historical, and philosophical—on our everyday experience. This should free our minds. Of course it isn’t easy. Why would anyone expect it to be? Mark Harding teaches in the Advanced Placement Program at York Memorial Collegiate Institute in Toronto, Ontario, Canada. He has also taught at York University (Toronto) and Simon Fraser University (Burnaby, British Columbia). At present, he teaches English, Psychology, and the Seminar course of the new College Board AP Capstone Diploma Program. Admin’s note: Due to a technical error, Mark’s piece was published twice today on the blog. Apologies for sending extra messages to subscribers’ accounts. I try to do no harm at work, be kind, authentic and teach the curriculum in the most honest way I can. Yup, I use all the bells and whistles, to keep my students entertained. Those are just tools of the trade for today’s educator. But am under no illusions that I am changing society for the better. My dad has been gone for over ten years. Thank you for this essay. Your words, and remembering my dad’s example, reinforce a philosophy of life that gives me vitality and a practical optimism. This is probably going to come across as criticism. I’m hoping you will see it as critical questioning and not dismissive criticism. When being stoically indifferent to the narcissist and neurotic, is there a chance that you could could be neglecting the average student or at least seen by the average student as being neglectful? “Good” students would be, I assume, a preferred indifferent. Can/should a Stoic teacher direct his/her attention to these students? Further, if students fit within those two broad categories and most of the narcissists are males, then most females are neurotics — drab-dressing and failure-obsessed. I don’t find that to be true at all in my experience. I suspect that there’s a good bit of truth on display in the article, but I’d caution the author against overly broad psychologism. There’s no fruitful way to divide all teenagers up in narcissists vs. neurotics. Thanks for your comment. Please see my reply to Walt. Thank you for your comment, which I find in no way dismissive. I use the terms “narcissist” and “neurotic” in a colloquial rather than a clinical sense. The former includes behaviours ranging from a rather benign self-involvement up to aggressive demands for special recognition. The latter term includes behaviours such as chronic test anxiety through to hospitalization for depression. I teach kids in a program (AP) where success is measured by the results of “one shot only” high-stakes international exams. Admissions to elite universities such as the Ivy League in the U.S. are in part determined by the results of these exams, Such a program probably attracts more than its share of those who already feel superior to others, and produces, because of the intense competition, those who feel they can’t succeed. The ordinary “good” kids are still evident, but are sadly becoming a tiny minority. As each year goes by, I find fewer and fewer students who are interested in learning for its own sake or who can handle failure with equanimity. Most are simply interested in grades or in fulfilling parental expectations. Yes, it is sad, and makes me wonder whether their admission to this program does them more harm than good, but that’s a story for another day.